In 1966, four years after the death of the painter Gabriele Münter (1877-1962), the Gabriele Münter- und Johannes Eichner-Stiftung was officially incorporated. 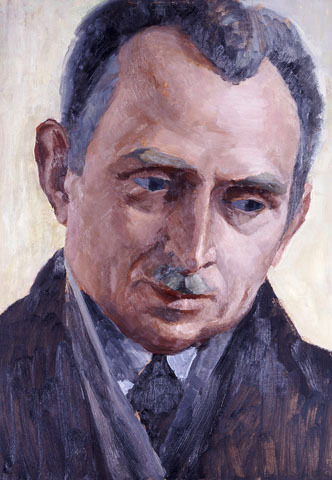 The Foundation came into being in accordance with a testamentary behest of Gabriele Münter and her partner of long standing Johannes Eichner (1886–1958). 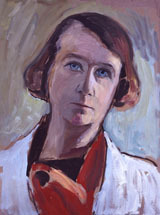 Gabriele Münter had met the art historian and philosopher Johannes Eichner in Berlin in 1927. He recognized her talent, and researched and wrote about her art as well as about Kandinsky. In 1952 Johannes Eichner met the future director of the Städtische Galerie im Lenbachhaus, Hans Konrad Roethel (1909-1982). A close friendship developed and in 1956 Roethel became the first person to view the complete collection of Kandinsky and Münter pictures, which Münter had hidden in the basement of her house in Murnau to protect them from the National Socialists. On the occasion of the artist’s 80th birthday one year later, in 1957, Gabriele Münter magnanimously donated a major part of this collection to the Städtische Galerie im Lenbachhaus in Munich. When they decided to establish a foundation, Gabriele Münter and Johannes Eichner had the support of Hans Konrad Roethel. The foundation was to be incorporated as an independent institution upon Münter’s death, with the goals of keeping and administering her priceless estate.